Here's an exciting collection of beat jazz from 18 b-grade thrillers made in Germany between '61-'71. The series actually consisted of 32 features made between the late '50s and early '70s, all produced by Constantin Films, based on popular fiction -- primarily that of British author Edgar Wallace. With titles such as "The Monster of Soho" and "The Spell of the Sinister One," these flicks featured a plethora of time-tested cliches: the tough but charming hero, the damsel in distress, the sinister villain (often played by everyone's favorite nutcase Klaus Kinski). 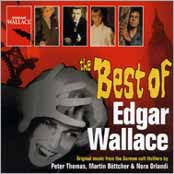 When it came to scoring the Edgar Wallace thrillers, Peter Thomas (Raumpatrolle, 100% Cotton) was the most inventive composer at the studio's disposal. His combination of beat jazz and sound effects (gun shots, hand claps, etc.) and penchant for unusual juxtapositions still sound fresh today. 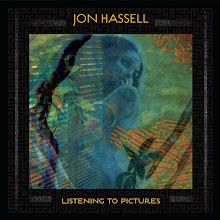 Racing rhythms, sensual horns, pulsing organ riffs are all on display. About 70 percent of the music on this collection is by Thomas, the rest being split between Martin Bottcher and Nora Orlandi. Thomas is especially essential to the jazzy soundtrack pantheon, and this is a worthy collection. Bear in mind, too, that none of the Thomas soundtracks were released when the movies came out. The liner notes postulate that the studio considered Thomas' music "too weird to play at home". Today's presumably more open-minded music fans will undoubtedly find Thomas' weirdness refreshing.